Product Junkie Diva: What is your hair eating? i am SO disrespectful to my hair. i put it through heat damage constantly. i try to give it a break and wear it natural but to maintain my curl, i pretty much always use some product with a high alcohol content or other damaging ingredients. i have a hard time finding products that treat my hair well and achieve the look i want. I think since I've changed my hair regimen to more natural based prouducts it has promoted healthier growth! I think the body and hair are meant to be fed with more natural and/or organic products! I am glad you posted on this product b/c I am interested in purchasing it in the near future. Lately, I've enjoyed More Moisture Shampoo by Burts Bee's! Ojon restorative treatment and Phyto hair vitamins have made a big difference in my relaxed and dyed hair. I have more hair, less shedding and it's not as parched. Even my stylist noticed. Tomorrow, I'm going to try coconut oil instead of Ojon for the pre-shampoo treatment before heading to the salon. 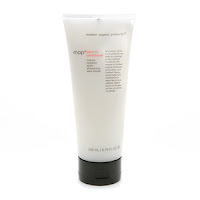 I blow out my hair every other day (sometimes every two days) and use leave-in conditioners to protect against heat. @Antithesis there was a time in my life when I was a heat junkie, whether it was the curling iron or the blow dryer I was on it. But once I was able to regain my healthy hair when I stopped using all of those tools, I new I just couldn't turn back (I just use heat for deep conditioning or when I am in a bind but it is by no means the standard anymore). If you start by making small changes, I'm sure your hair will love you for it! @Bellefille I agree, my hair just feels healthier and hair issues are pretty much a thing of the past. @PBW please let me know how it works out for you. Are you just using coconut oil alone or are you mixing it in with your normal pre poo? @BeautyTalk which heat protectant do you like? I blogged about these products in older posts. My hair is need of some serious TLC!! I try to use products without a lot of ingredients, let alone harmful ones. I love for my twists to feel nicely moisturized and plump but am having a hard time finding some products. I don't want to keep using shea butter because it seems to be too greasy. Need something good w/o the dent in my pocket. Hopefully I score BIG at the International Beauty Show in New York on Sunday! @ Jewells International Beauty show in NY????? WHAT!!! Where is all of this happening. I actually I couldn't make it this Sunday even if I did know about it in advance but please send details. I hope you score big. Score big on what I don't know but whatever they have I hope you get it. Will they have beauty products?????? I also have a tub of unrefined shea butter but I want to get into making some things from scratch.